Hello, and Welcome! Below you will find work samples for my application to Assets For Artists (click the image to open the file!). For each file please see the short description listing development and production/publication history. I welcome any follow-up questions and can be reached at jjk@j-rexplays.com or 617.599.2929. Written and illustrated by John J King. Written and developed over winter 2016-2017, HAMS features quirky rhymes and porky art of pigs in New England towns that end with "–ham." A black dramedy about depression and time travel. As she takes her career and a new relationship to the next level, Martha is forced to confront the deep dark corners of her mind. And speaking of deep dark corners - what is going on in the attic? ​BlueShift was written and developed in the Huntington Playwriting Fellowship, and received a reading as part of the Breaking Ground Festival at the Huntington Theatre Company. The play was a finalist for the 2016 National Playwrights Conference at the Eugene O'Neill Theater Center. A new English-language adaptation of Heinrich Marschner's DER VAMPYR, updated for a contemporary audience. Commissioned by OperaHub in 2014. An operatic vampire tale with a helping a parody and a dash of social critique, DER VAMPYR updates the story, and threads contemporary vampire motifs - including references to Buffy the Vampire Slayer and Twilight - into a darkly hilarious feminist vampire tale. this mash-up of Shakespeare's HAMLET and James Bond. 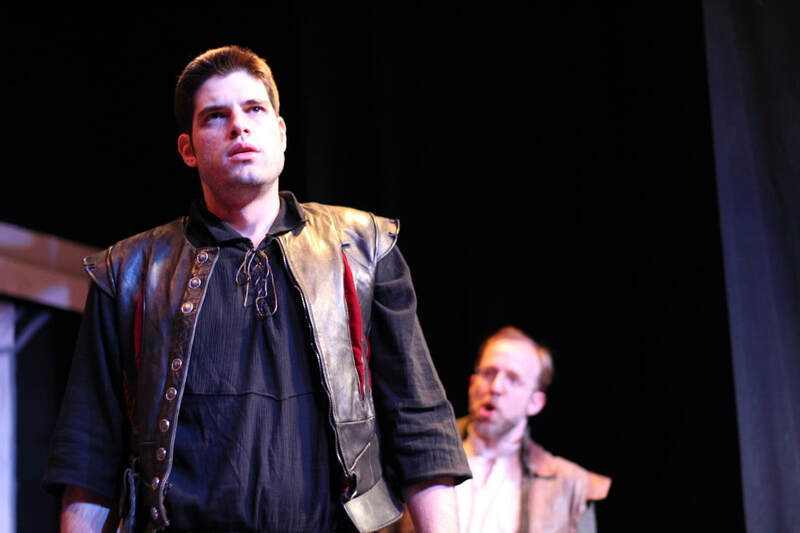 Hamlet's father has died suddenly, and his uncle Claudius has married Hamlet's mother Gertrude. As Hamlet investigates his father's death, he finds a terrifying plot to destroy the world. But who's behind it all? Claudius? Or...The Norwegians? !